Chicago police said Tuesday that they are investigating an alleged attack on actor Jussie Smollett as a possible hate crime. Smollett, who is black and came out gay in 2015, plays Jamal Lyon on the Fox drama Empire. According to police, Smollett, 36, was approached by two men wearing masks as he walked near the Chicago River in downtown Chicago around 2 A.M. The men shouted racial and homophobic slurs as they struck the actor in the face. Police also said in a statement that an “unknown substance” was poured on Smollett and a rope had been wrapped around his neck. Police did not mention Smollett by name, but Fox identified the victim as Smollett. Smollett told investigators that his attackers yelled that he was in “MAGA country,” a reference to President Donald Trump's “Make America Great Again” campaign slogan. Smollett took himself to the hospital and is reported to be in good condition. 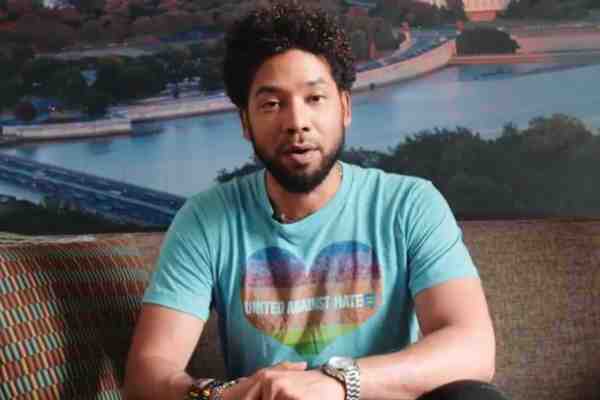 Smollett is outspoken on LGBT issues and has criticized the president.